Group of eight greeting cards featuring stylish pop art of Queen Elizabeth II. 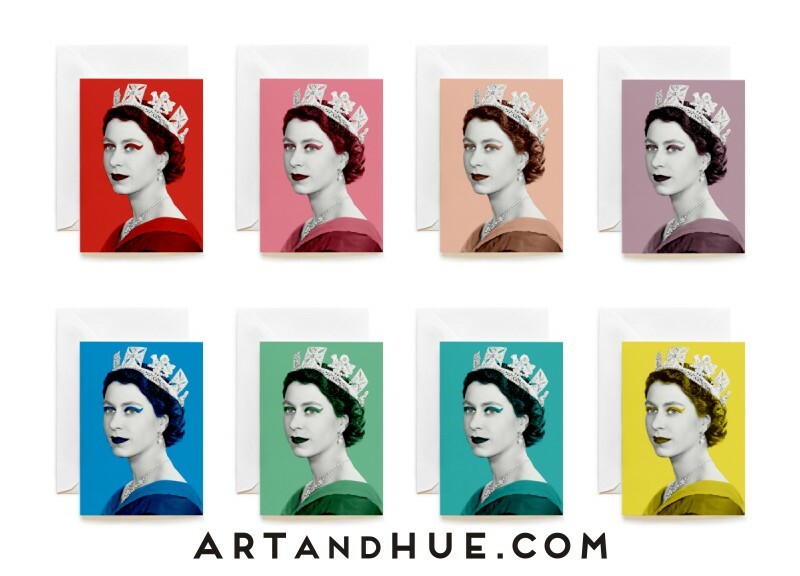 8 for the price of 6. Stylish Greeting cards, blank inside for your own message. A6-size cards with white envelopes. 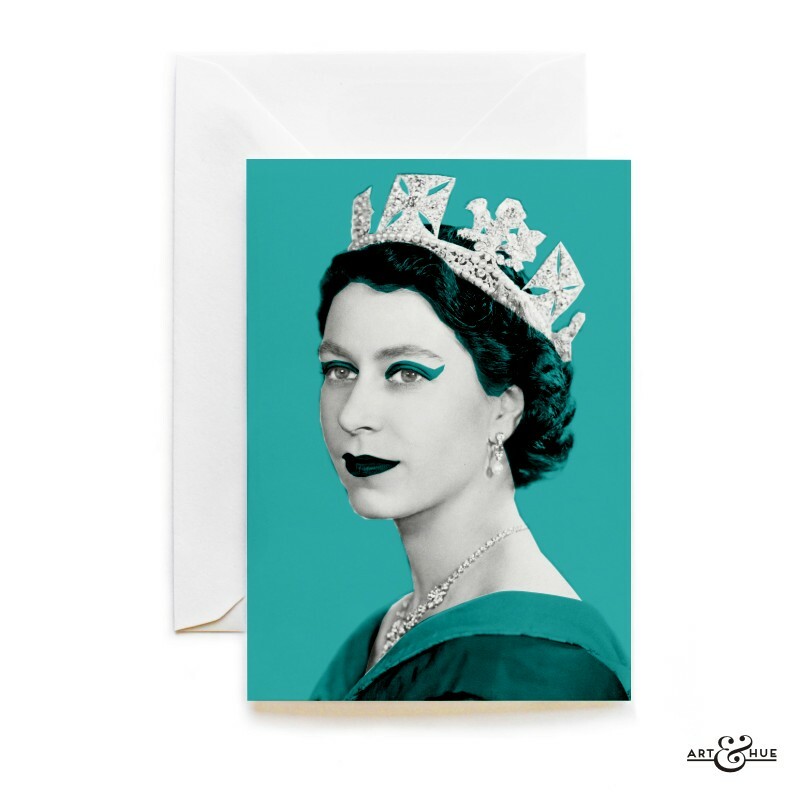 Categories: Greeting Cards, Group, Home. Tags: 2018, Greeting Cards, Group, London, Retro, Royal. 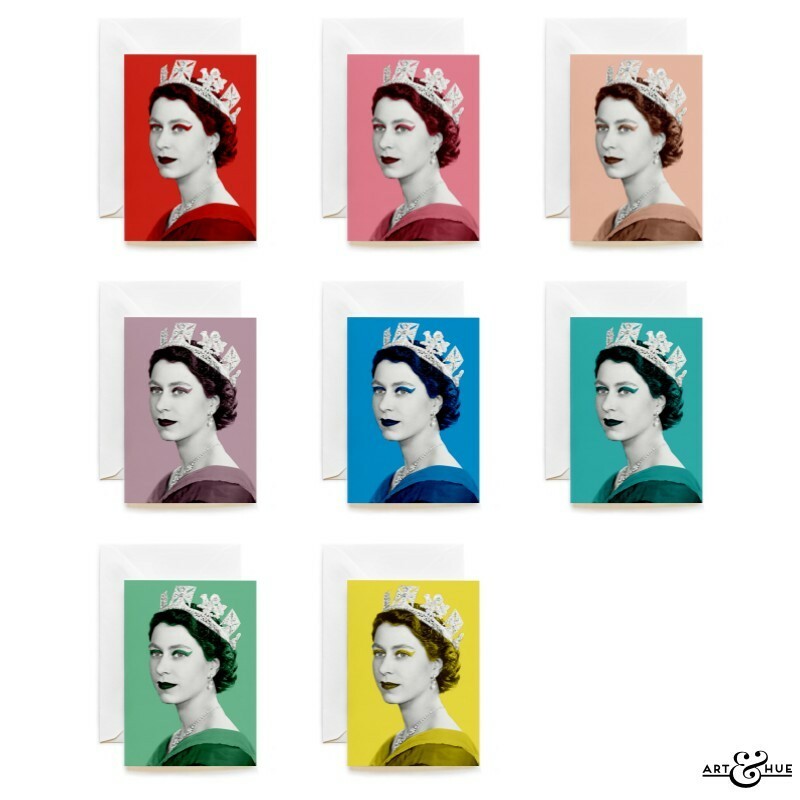 Queen Elizabeth II group of eight greeting cards with stylish pop art of Her Majesty The Queen in different colours. All-purpose cards ideal for any occasion – birthday, celebration, thank you, congratulations, anniversary, wedding, holiday, Christmas, new baby, new home, new job, Mother's Day, Father's Day, or simply for a fan of London or The Queen. 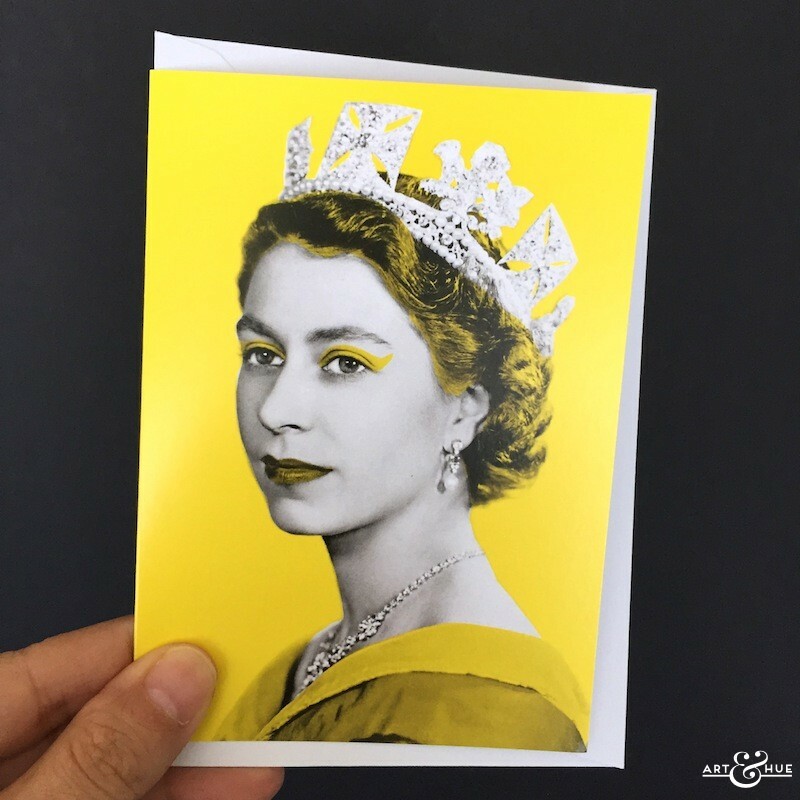 Printed in Britain, these A6-size white cards of pH-neutral 300gsm card are made from sustainable sources, free of chlorine & heavy-metals, FSC Certified, using carbon-captured papers.